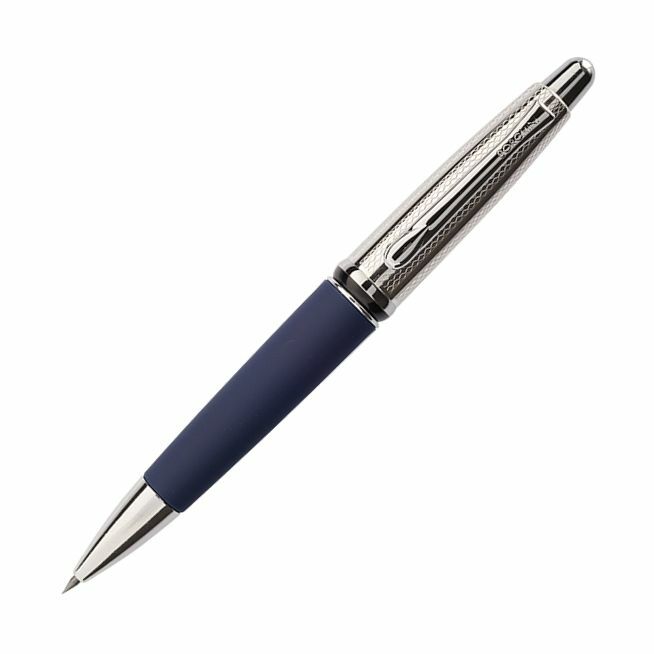 Our Borghini Guilloche Prestige Mechanical pencil comes with a rhodium plated metal cap which has a finely engraved guilloche style wave pattern with plain lines between. The body of the pencil comes with a soft touch blue colour making the pencil very easy to grip. This pencil uses a push system to extend the lead and has as rarely seen extra a lead sharpener in the cap of the pencil. Each Pencil comes with 2.0mm graphite which can be replaced and extra refills are easily found in any high street stationers. Each Pencil comes in it's own smart clear plastic display box with a Borghini printed card cover.